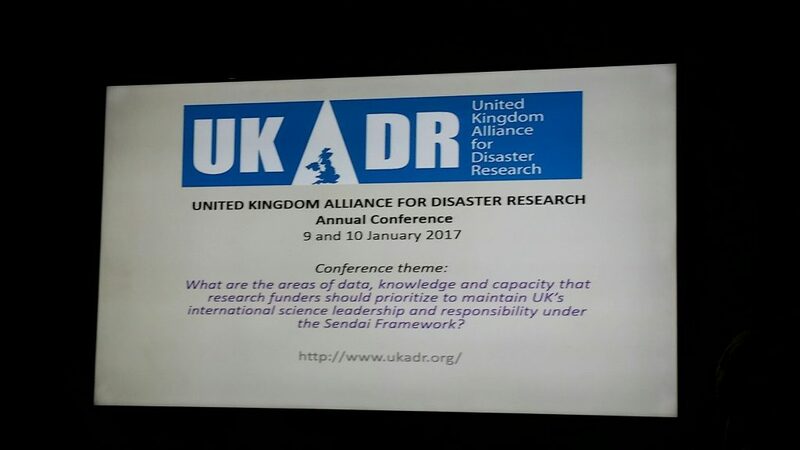 We attended the UK Alliance for Disaster Research (UKADR)(http://www.ukadr.org/) inaugural conference at King College in London on 9th and 10th January 2017. The aim of the conference was to bring together the Disaster Risk Reduction (DRR) research community, showcase a number of disaster research areas and to determine if there was enough momentum to continue the UKADR. 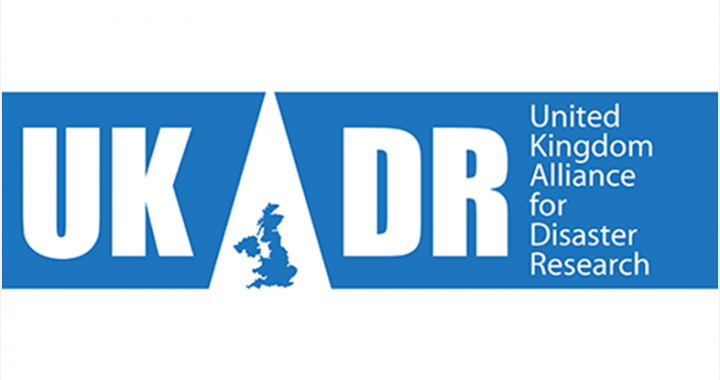 From an NHP perspective we already endorse the UKADR initiative, however we wanted to make further links with this community and learn more about the kind of work that’s done. We were asked to present in the opening and closing plenary sessions and in a session on ‘Transdisciplinary approaches to science and productive policy’. 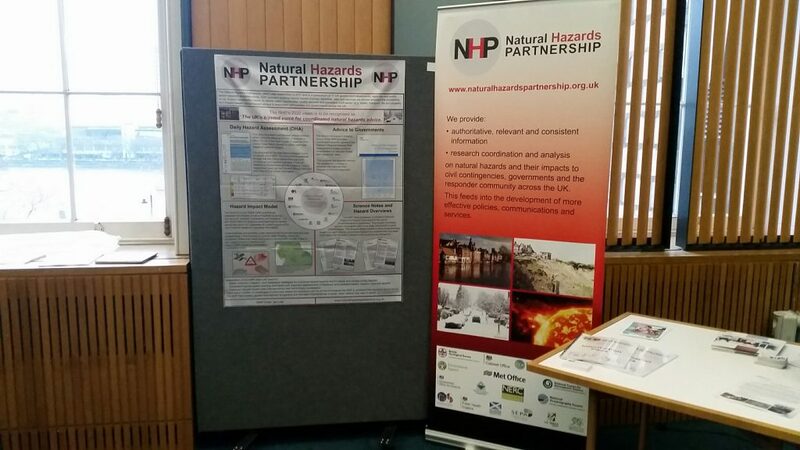 During the sessions we focused on the success of NHP partnership working, how our work improves UK preparedness for natural hazard events and how communication of our science was paramount for success both nationally and internationally. It was evident that there was a large mix of people in attendance at the conference, mostly from the academic community. 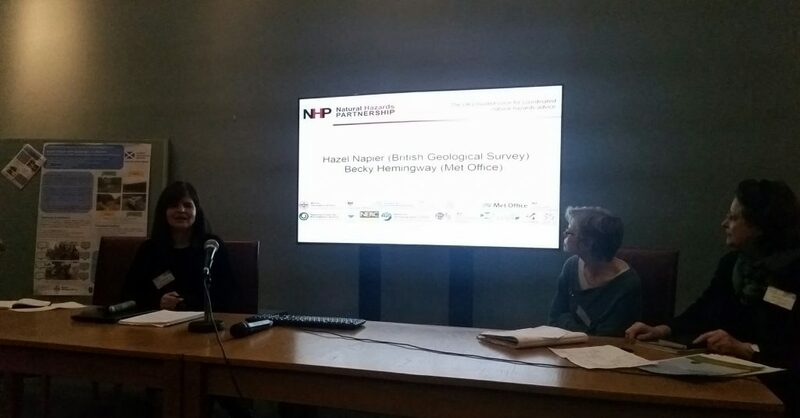 We felt that stronger links with this community would be valuable to the NHP and highlighted that the NHP isn’t just public bodies interested in policy but has numerous scientists doing world-leading research. An international focus to the sessions but clear indications that national and international DRR research can learn from each other. Communication is key, however varies and needs to be tailored to the scenario and audience. National and local communities have different requirements but both need to be engaged with to fully understand these requirements. Gaining funding is challenging. Grants often have a narrow focus which can constrain the DRR community’s ability to fund its research. The Global Challenges Research Fund could provide a solution to some degree and the Research Councils representative invited participants to put forward ideas for future funding and calls and suggest way in which the Research Councils could facilitate bringing groups together therefore strengthening international partnerships, a key part of any GCRF bid. Overall the conference was useful and interesting to attend and we have further plans to engage with the DRR community.